An Introduction to Global Environmental Issues presents a comprehensive stimulating introduction to the key environmental issues presently threatening our global environment. 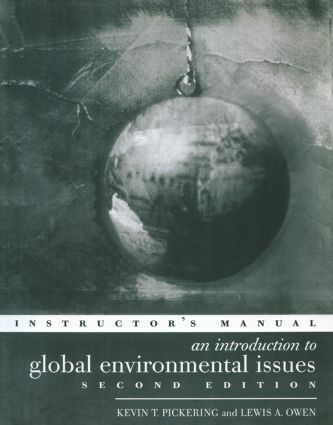 Offering an authoritative introduction to the key topics, a source of latest environmental information, and an innovative stimulus for debate, this is an essential book for all those studying or concerned with global environmental issues. In this second edition, the most topical global environmental issues are brought more clearly into focus. Explanations of the evolution of the earth's natural systems (hydrosphere, biosphere, geosphere, ecosphere) provide the essential understanding of the scientific concepts, processes and historical background behind key environmental issues. Contemporary socio-economic, cultural and political considerations are explored and important conceptual approaches such as Gaian hypotheses and Chaos Theory are introduced. Human impact and management of the natural environment, and concerns for maintaining biodiversity are emphasised throughout.